The author begins by stating that during the cold war communism was the enemy, but since the fall of the Soviet Union, many Americans think Islam is the enemy. The purpose of this book is to help us all understand that Islam is not the enemy and neither are Muslims. They can in fact become our friends. We should pray for them, take every opportunity to pray in their presence, and seek to witness with love and understanding. We should seek their friendship, not simply to unload the gospel, but to become genuine friends. In such a context, opportunities for witness will come, since most are open to discussing matters of faith. Having befriended, witnessed and prayed with many Muslims over the years, Medearis sets a good example for the rest of us. In an effort to help others engage Muslims in meaningful relationships, Medearis suggests a gentle steering of conversations toward Jesus, rather than focusing on apologetics, or trying to defend Israel. He argues convincingly that if this is our goal many Muslim-Christian tensions will fall by the way side. In short, he wants to move Christians from fear to faith and says a good place to begin is to look for common ground, like God, angels, Holy Books, Prophets and the Day of Judgment. There are sticky points, like the Son of God, but we should not start there. Medearis suggests that by using the Qur’an we can help Muslims think more deeply about Jesus: “[T]he Qur’an is quite possibly the greatest inroad we have to reach the hearts of our Muslim friends” (p. 66). He arranges the nearly one hundred verses about Jesus (all of them positive) under the topics of his birth, his character, his death and his exaltation (pp. 70-73). He admits the Qur’an is problematic, confusing, conflicted and “… a few verses do condone killing” (p. 66). It categorically denies Jesus is the Son of God, but he insists there is a “gold mine running through the Qur’an: His name is Jesus (Isa)” (p. 66). 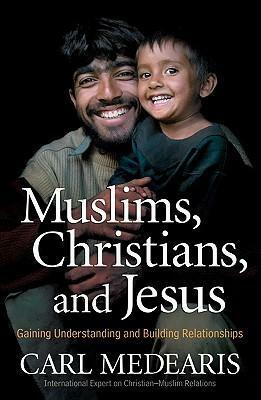 Of particular value in this book are the many practical ways Christians can relate to Muslims, especially in the area of hospitality. Christians, he says, should first of all plan to “have fun” (p. 152) because most Muslims love to party. Such settings will afford conversations and he lists the top five questions often asked: “Do you believe Muhammad was a prophet?” “Do you think the Qur’an is God’s inspired book?” “Has the Bible been changed?” “How could God have a son?” And, “Was Jesus crucified?” He gives guidelines on how to respond to each question and ends up with a few do’s and don’ts in witness. Whatever you do, says Medearis, do not attack Muhammad and try to visit a mosque. The greatest strength of this book is perhaps the author’s ability to tell stories and some of them are humorous. Every missionary can relate to how using the wrong word can completely change the meaning. In attempting to sing a song to a group of Arab children in the desert, the Medearis family used the wrong word for “joy,” so rather than “I’ve got the joy, joy,” joy, down in my heart …” they sang, “I’ve got a mouse, mouse, mouse, down in my heart” (p. 29). Other stories illustrate how much prayer means to Muslims. He tells about meeting a leader of the Hezbollah, and when Medearis prayed for him, and his country, tears began to stream down the man’s face. Over the course of time, he had further opportunities to meet and pray with him in the name of Jesus. Another was a gifted Lebanese Arab, high up in government, who confessed that he had lost all hope for the country and for his ability to make a difference, but over time, during which they discussed the book of Luke and prayed for the nation, this man too was able to seriously consider the life of Jesus. One particularly moving story (pp. 92-96) tells how he and a friend witnessed to a Saudi princess who in the beginning was not at all open to hearing about Jesus. She was a highly-educated woman of the royal family with a degree in journalism and strong feelings against the West, especially the United States. But as they addressed her hurts and frustrations, the princess broke down and they were able to share Christ’s love and the hope that only God can give. Before it was over, and in the midst of many tears, the princess placed her faith in Christ. However, this story illustrates what may be the most controversial aspect in the book, because apparently the princess is still very much a Muslim. The question is: Can one be a follower of Jesus and yet remain a Muslim? Medearis devotes an entire chapter (pp. 134-150) to show they can retain their identity, but in their heart of hearts be disciples of Jesus. Some readers will respond that “Muslim” also carries with it religious connotations, such as allegiance to Muhammad, and that eventually allegiance must be given to Jesus–come what may. This is one of the concerns in reference to some insider movements and the controversy swirling around contextualization. In my view evangelicals can only resolve these issues through mutual respect and face-to-face dialog. The only weakness is this book contains some inaccuracies. For example, it says Muhammad and his first wife had seven children together, six of whom died young (p. 24). It is true there were no surviving sons from the marriage, but the couple had four daughters who lived for years. The book calls the Hadith one of the revealed Holy Books (p. 42), but it is not in the same category as the four divinely-inspired books. He says Jews and Christians will not be in hell for eternity (p. 44), whereas many modern Muslim scholars regard Christians and Jews as mushrik (those who add partners to God) who will be in hell eternally. He says Islam is based largely on works, when the truth is it is based on both works and faith. Muslims must embrace the five pillars of Islam plus the six articles of faith (p. 57). He says if a Christian or Jewish woman marries a Muslim man she is a Muslim (p. 89). These can easily be edited out in a future edition. In conclusion, this book should be read for at least two reasons: First, it demonstrates that attitude is more important than knowing all there is to know about Islam, and building bridges with Muslims is the most fruitful approach. Second, this work stimulates ongoing Christian thinking as to the extent to which Muslims can remain Muslim as they follow Jesus the Messiah. The following post is written by Trevor Castor, Assistant Director of the Zwemer Center for Muslim Studies. Nearly one year ago Mohamed Bouazizi set fire to himself in protest after Tunisian police confiscated his vegetable cart. Bouazizi’s act on December 17, 2010 seemed to be the spark in wild fire that has moved through the Arab world. One month later on January 17, 2011 an Egyptian man set himself ablaze in Cairo protesting the poor living and economic standards in Egypt. Four others in Algeria followed suit imitating Bouazizi’s protest and call for reform. Before long what began in Tunisia was boiling over into Egypt, Libya, Algeria, Bahrain, Syria, Iran, Iraq, Israel, Jordan, Yemen, Kuwait, Lebanon, Morocco, Palestine, Saudi Arabia, Morocco and the United Arab Emirates. Many in the West have been watching the news concerning the Arab world over the last year with trepidation. A question I am often asked is “what do you think will happen if radicals like the Muslim Brotherhood come into power in these countries?” My Guess is that prior to this year most Americans had never heard of the Muslim Brotherhood but now they are concerned about the brotherhood’s political aspirations and how that might affect America. No matter who wins the day in Egypt, God will still work to see His plans for Egypt come to pass. It is no coincidence that when an Islamic regime took over Pakistan, Bible sales went up. Iran is another great example, following the 1979 revolution, Bible sales went up and the Church flourished. The underground Church in China might be the fastest growing Church in the world. We must realize that often times God uses the wrath of man to bring Him glory. (Psalm 76:10). Democracy does not always equate church growth and is not necessarily the most conducive political system for the spread of the gospel. Often times the gospel flourishes under harsh regimes and therefore we do not need to be fearful if Egypt or any other country moves in that direction. We pray for peace but we also pray for the harvest. Let’s be sure that our first concern is for the people of Egypt and other Arab nations to come to a saving knowledge of Christ whether that is politically good or bad for America. Too often our first priority is temporal comforts rather than eternal things. Whatever political power wins the day we pray that the Church will be strengthened and grow in the Arab world. On February 13th during the Tahrir Square protests, Christians volunteered to make a human chain around the Muslims in order to protect them from Mubarak’s men while they had their prayer service. In turn the Muslims offered to do the same for the Christians. The evangelical Church in Egypt led a public worship service for the first time ever. Thousands of Muslims were present to hear the gospel proclaimed. On 11/11/11 a historic prayer event took place in Egypt. More than 70,000 were in attendance. This was the largest Christian event that has happened in Egypt in over a thousand years. Some are saying that this is the beginning of a revival in Egypt. I hope that we do not allow the political activity in the Arab world overshadow the God activity that is clearly evident. We should pray that what is happening in Egypt be a spark in a new wild fire of revival that will travel throughout the Arab world. 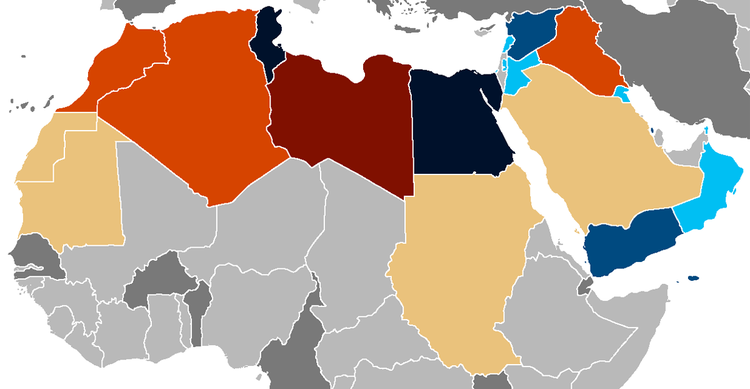 Most Palestinians are of course Muslim but many are Christian (Roman Catholics, Armenians, Coptic, Ethiopian Orthodox, Maronite, Anglican, Lutheran and Baptist). The Arab-Israeli problem has caused suffering all around but Palestinian Christians are particularly hard hit. The newsletter below is from a brother whom I met at Fuller Seminary, where we both studied. I remember him saying the roof of the little evangelical church he pastored, had been blown off several times. After Hamas won the election in Gaza, 2006, Christians were put under increasing pressure from the Muslim side. 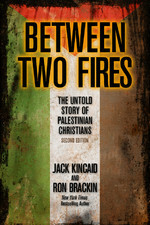 As the book, Between Two Fires: the Untold Story of Palestinian Christians (Jack Kinkaid and Ron Bracken) explains, Christians are caught in the middle. He later left Gaza for the safety of his wife and two daughters and relocated in Jordan, but regularly returns to give counsel, comfort and desperately-needed supplies. His e-mail describes the suffering of Christians and asks for our prayers and financial support. (140 square miles). They are isolated from the rest of the world, surrounded by 1.7 million (not Christians), ruled by Hamas, and oppressed by the extremists and the even more radical Salafists. Every day, they battle depression and hopelessness. My first visit on Thursday was with a couple, students of mine at Bethlehem Bible College, who lead a home bible study. For hours, we talked about the unique ministry challenges they face and sought God together to find ways to serve better and to reach out to the territory’s tiny Christian community. I counseled another leader who has been stumbling and became isolated from the ministry. By God’s grace, he and his wife are once again leading worship in home bible study. On another occasion, I spent a very productive time supporting and encouraging the couple who leads worship in the church. There is much sickness in Gaza, a lot of it caused by the stress of daily life in addition to the diseases and infirmities that we all face. I visited a family who just lost their father to cancer. He was only 52 years old and had been a classmate of mine growing up in Gaza. I shared some memories with them about their dear father; we read the Scriptures together and thanked God for His comfort. beside Preaching & teaching in the church in two Sundays. One day, I walked into a pharmacy and my heart nearly broke as the owner, who is a good friend, broke down crying uncontrollably the moment she saw me. She could not believe that I was actually there. She was able to share the oppression and pain she is suffering and later told me how the Lord used my visit to comfort and strengthen her. Poverty is great in Gaza and unemployment is still very high. But thanks to God’s grace and the generosity of friends like you, I was able to help twenty-seven families—Christian and non-Christian—with food and medicine. Most of these families live in the Deir El Balah refugee camp (nearly 20,000 people packed into 39 acres). Each package included olive oil, orn oil, different kinds of beans, rice, sugar, and other supplies; worth bout US$60(we bought the food from Gaza). God willing, my next visit will be in January. At that ime, I hope also to teach a course on the Gospel of John through the Gaza xtension of the Bethlehem Bible College. The people I isited, that the Lord will continue to heal, encourage, and comfort. Thank you very much for your prayers and partnership and for standing with us in these increasingly difficult days. If the Lord put in your heart to partner with us, Please let me know. Pasted in below is only the beginning of an ongoing discussion we are currently having with a fifteen-year old to whom God has given a great burden for Muslims. She has many questions about Islam and is keen to know about their languages and cultures. Names have been taken for security reasons. Hello, my name is ___. I am 15 years old and I am from ___. My dad is the pastor of a small church [and] also a private school teacher, and my mom is a kindergarten teacher. I was so excited when I found out about you guys because I’ve always wanted to talk to someone about the contents and people of Islam! I believe that God has given me such a heartfelt love for Middle Eastern people. I can’t even explain the passion I have for these marvelous people, except for one word, God! I know it’s not just a learning interest I have, but a true, burning heart to be a part of these peoples’ lives; and allow them to be a part of mine. In fact, I almost have more love for them than I do my own life. I have studied Islam and the Middle Eastern countries for about two and half years now (since I was thirteen), and I was immediately drawn in. All my life I have been so blessed to have so many Middle Eastern [friends, Northern Africans, and Indians be a part of my life so far. I have an uncle who is from Algeria, I have had an uncle who has already passed who was from Lebanon, I have a friend (in whom we call each other sister) from India (she is Christian, praise be to God), and I have a good school friend named ___ who is Muslim (both of her parents are from Afghanistan). I thank God every day for them; it amazes me how much He loves to bless His followers. Ever since I was in 7th grade I have been interested in people from other cultures…but the Middle East was the only one that really stood out in my opinion. It was the only region that I really wanted to get to know, the only culture that truly gave me those butterflies of excitement that you get when you just want to learn!!! By that time I had met my friend ___. She told me that she was a Muslim (of course I was young and at that time really didn’t know what a Muslim was and our friendship kept growing and growing. Before I knew it we were passing notes every single day in class and joking with each other about stupid things (like 7th graders tend to do), and to this day I am still surprised that I maintained a B average in that class!! When 8th grade came around I had already read many books about religion, but mainly Islam; __ and I continued to pass notes between classes since we didn’t have any together. I always wanted to know how religious she truly was. She surely didn’t act like a well-behaved Muslim girl like the Quran said she was supposed to be, but I never really asked her (she has always been friends with the “popular” crowd so I really didn’t know what to expect). She told me about eid and Ramadan as we passed notes…and I told her about Holy Communion and St. Patrick (since I’m of Irish origin). We remained great friends for that year. After that we had summer, and then freshman year started for all of us (Lord help us all!). During freshman year, ___ and I didn’t pass notes…however we did talk a lot between classes and in the mornings before the school doors opened, we still didn’t have any classes together. We started to show our two faiths a little bit more. I then thought that it was okay to tell her how happy I was about how much God has blessed me. She rarely talked about Allah, just about the rituals she did. Then a little after that…something happened. We were still good friends but she started to treat me a little bit like a genuine infidel. She would call me a loser almost every day (we had always liked to joke around…but it got to where it started to get offensive), about things that I truly cared about. She started to act like a Muslim freshman year, and that ruined half of the experience. I remember crying so hard because I had either said something wrong or I just felt as if wasn’t good enough to be her friend (I had prayed endlessly for her since that 7th grade year). I’m still her friend, and she’s still mine; but I do have scars from her words, facial gestures, and sarcastic remarks about my heavenly Father. I still shudder when I think of her sometimes…but God has taught me how to move on and how much I truly love Middle Eastern people. I will still forever love __, just like Jesus will forever love me. Middle Easterners are such amazing people with so much history, intelligence, creative abilities, and they’re food is great!! I mean, Jesus was a Middle Eastern (in my opinion). He was an Israeli Jew, and that is another thing that gets me so excited about Middle Easterners! Could you imagine how interesting it would be to live like Jesus?? The Middle East is His land, and I believe it should belong to Him. I always say…I will do anything to help Muslim people … anything that I can do, except for change my faith in Jesus Christ. If I have to leave my Savior for a group of people, then forget it. Anyway, that’s my list of reasons why I love Middle Easterners so much. I am currently learning Arabic, and I also really want to learn Hebrew (beautiful languages!!) so I could maybe communicate with them someday. I am really happy about what you all are doing here. It really means a lot to me, and I’m sure so many other people who are willing to stop and pray for those lost souls over there in the Middle East. I do have a few questions: Is it very dangerous for missionaries to go over to the Middle Eastern regions of Afghanistan, Iran, Iraq, Pakistan, and Saudi Arabia? If so…is it possible to serve over there without getting killed? What is a nice career I could have in helping these people in the best way that I can? Is politics a good choice? Is there any way I can get in touch with a Muslim-to-Christian convert on a website or organization that you might know of? How can I impact the life of Middle Eastern people at 15 years old? How do I keep from getting so depressed about __ and how she chooses to live as a Muslim? Thank you so much for everything that you do. You are such and inspiration to so many people of any age, and I know God will bless your organization in every way possible!! Thank you so much and May God Bless you in everything you accomplish in His name!! Workers heading into cross-cultural ministry should realize that their carefully laid-out plans and strategies may require some changes. This excellent article, used by permission of Lausanne World Pulse, lists six areas where the author, Audra Grace Shelby’s thinking needed radical adjustment. Revision was needed in reference to team work, cultural adaptation, uncompromising witness, learning how to story for illiterate women, and sincerely loving others. It illustrates how God hears our desperate cry for help and supplies the needed grace and wisdom for every challenge. Shelby is a former student of Dr. Mike Barnett, Dean of the College of Intercultural Studies at Columbia International University. The grip of her hand squeezed into my arm as her brown eyes bore into my blue ones. “Please,” she urged. “Lazem!” (you must). She tightened her black hajab (hair covering) before it slithered to her shoulders. I looked from her pleading eyes to the woman frowning beside her. The frowning woman had already asked me to visit her house. She stopped snapping her black balto (outer cloak) as both women waited to hear my answer. My predicament was a blessing, even as I felt pulled between the two women. I thought back to my arrival in Yemen six years earlier when I had prayed for opportunities to get beyond the veils and into the lives of the women. I had arrived in the Red Sea coast region with my husband, four children, and a well-planned strategy to reach Tihama women with the gospel. I thought I had prepared myself well. I had researched Yemeni culture. I had studied books on Muslim evangelism. I had learned scriptures and Bible stories in Arabic. But I soon discovered my strategy was incomplete and I would need to revise it. My first revision came in recognizing my husband and I could not do the task alone, nor had we been called to. Tihama was an area of four million unreached people. As missionaries, we saw ourselves as “feet …who preach the good news” (Romans 10:15), but I realized that as feet, we were only part of the Body of Christ. We needed the involvement of the whole body—the knees, hands, voices, ears—to join with us in a unified effort to successfully reach Yemen. When God’s people joined with us in fervent prayer, desire, support, and action, God began to open closed doors. My second strategic revision was to put aside “them and me” eyes and learn to walk on common ground. Yemen is 99.9% conservative Muslim. I could hardly portray myself as a godly, devout woman if I dressed in a way they considered immodest, even if it was just showing arms and hair. In the sweltering 120 degree coastal heat, I could have justified wearing clothing that was comfortable by pointing to my freedom in Christ. But I covered my hair and wore a balto in public, even as I identified myself as a follower of Jesus Christ. I did not pretend to be Muslim, but I accepted that if local women could dress in black baltos and hajabs in the overpowering heat, so could I. And it opened doors: women invited me into their homes and husbands thanked me for respecting their culture. Finding common ground meant I needed to be “real” with the women. They were only interested in my immaculate dress and manicured hands at weddings—the glamour highlights of their lives. In everyday life, Tihama women were more impressed to see my broken nails and scratched arms from cooking, cleaning, or working in the garden. I had house help, which they accepted since I lacked the availability of their extended family members. But they smiled approval and drew me deeper into their lives when they recognized I did the same chores they did. Becoming like them, however, did not mean compromising my faith or mixing my faith with theirs. They were unapologetically devout, unhesitant to correct me if I did something contrary to their beliefs. They never seemed to worry whether their comments would offend me. This led me to further revise my strategic thinking, and be as unapologetically devout in my faith as they were with theirs. I needed to worry less about offending and focus more on seizing opportunities to communicate with polite respect, but without hesitation. One afternoon, I sat among a group of women who scolded me for not saying “Ma’a sha’allah” (what God wills) as I talked about my daughter’s upcoming school exams. “You must say ma’a sha’allah or the Evil Eye will bring her harm in her exams!” they warned. I paused. Having heard the phrase used repeatedly like a charm to ward off evil, I explained that I walked with God through the way—Jesus—and that he was all I needed, giving illustrations from my personal life. I told them of my husband’s illness—when doctors had not been enough to save him, but after praying in Jesus’ name, God had spared his life. I explained that through Jesus, I had all I needed. I soon learned that being unapologetically devout meant I had to revise my natural inclination to argue and debate beliefs that differed from mine. This was no easy task for an outspoken woman. One day in a gold shop, I watched as a group of women bargained with the male shopkeeper over the price of a bridal necklace set. A man waited near them, studying me from his perch against a counter. “Are you a Protestant or a Catholic?” he asked me. I was startled. Few people in Yemen understood the difference. “Protestant,” I replied. My heart started beating in my throat as all talking ceased and all eyes turned to me. The women waited for my answer as the man challenged me, looking for a debate. I held my breath, knowing an argument would be ineffective and would accomplish nothing in front of women who were taught to lower their eyes to men. The man said nothing. He looked at me, looked at the other women (whose eyes were still on me), and walked wordlessly out of the shop. I exhaled, relieved that he had not argued and grateful that the grace of Christ had kept my own tongue from arguing. In the absence of contention, God had provided an opportunity to publicly share a powerful scripture in a country that forbade evangelism. Another strategic revision came when I recognized the need to adapt my methods of communication. I yearned to effectively communicate the gospel in a way Yemeni women could understand. With illiteracy rates up to ninety-eight percent among women in Tihama villages, I could not communicate in textbook Arabic. I had to learn the dialect they spoke—their region-specific heart language—or they would not understand my formal speech. I could not give the women printed gospel tracts or Bibles (even if it was legal to do so) since the women could not read them. The meaning would remain locked from their hearts. Reading to them directly from the Bible would not have solved the problem; the women would not have understood the formal Arabic translation. I needed to tell Bible stories and verses in their words and to utilize audio Bibles recorded in their heart language. The most crucial revision to my strategy, however, began when I understood the attraction I seemed to hold for the women. I was an American, one of a handful among four million people, but their interest went beyond my foreign nationality. There was hunger in their eyes, and although most women lived below poverty levels, it wasn’t a hunger for food. I had repeatedly heard, “Islam is hallee (sweet),” from hungry-eyed women who claimed the superiority of Islam while they squabbled over whom I should visit next. These devout women had once been fed by dreams. As teenagers, they had fantasized about freedom from their fathers and love from their future husbands. But they became wives who sat with disillusioned eyes and listened to others’ dream. They became mothers at wedding celebrations who called out blessings for many sons, while clapping thin hands and skinny arms above their own worn-out bodies. These women needed health care and education. In villages without running water and electricity, they needed latrines, mosquito nets, and other practical essentials for living, and we planned these as key components of effective ministry. But as the women pulled and tugged me from diverse directions, I began to realize that their tug of war wasn’t for who I was or what I could provide externally; it was for what I had internally. They were hungry for the love in my life—something they couldn’t get from their religion or relationships—and they tried to get it from me. They were bewildered by my love for God and the stories I shared about his love for me. They saw God as terrifying and remote, and they had a profound fear of dying. They were amazed that my husband loved me in more than a sensual way. Like dry sponges, they soaked up the love I tried to pour and squeezed me for more, sometimes leaving me feeling drained and wrung out by the depth of their need. In my pursuit of the perfect strategy to share the gospel with Muslim women, I nearly overlooked the second most important command Jesus gave us: to simply, but completely, love our neighbor…for it is his love in us that identifies us most as his followers. It would have been nice had I known at the beginning of our ministry in Yemen what it took me six years to learn. Perhaps I would have arrived with a more workable strategy. But then again, maybe I was the one (not my strategies) who most needed revising.